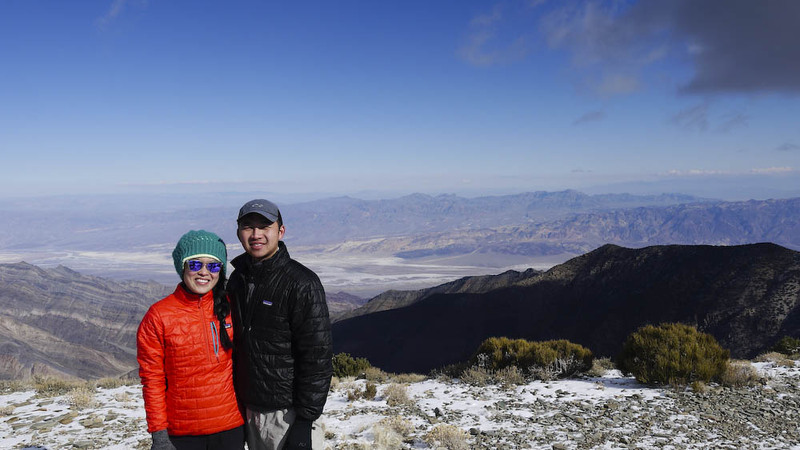 Location: Wild Rose Peak located at the west side of the Death Valley National Park. The trail head is about an hour drive from Mesquite Flat Sand Dunes. Hiking Distance: 9 miles round trip with over 2,000 feet of elevation gain. Overall the hike took us 3.5 hours with 2.5 hours spent ascending and 1 hour descending. Good to know: Wild Rose campground near the trail head is a great campsite for those who are interested in exploring the west side of the Death Valley NP. 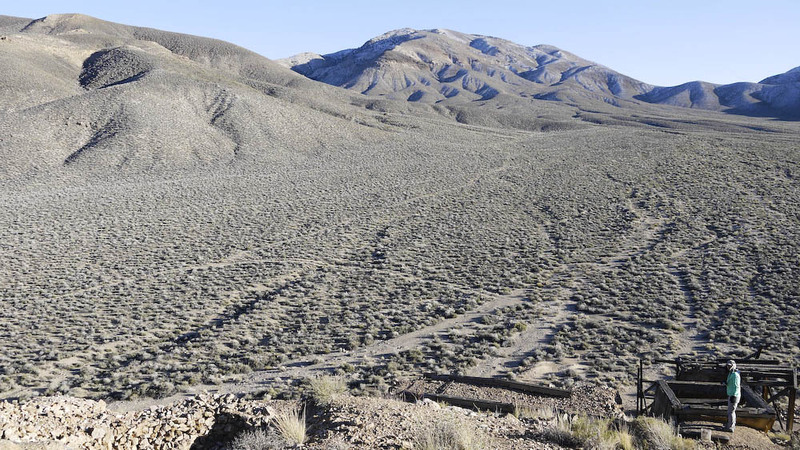 Situated around rolling hills with a seasonal water source, the campsite feels very different from the rest of Death Valley. At a much higher elevation, we felt it was too cold to camp here in the winter time but would be a great campsite to escape the heat in the summer. The best part about this campsite is it’s free! After doing lots of driving the last couple of days, we were happy to leave our car for a longer hike in the park. 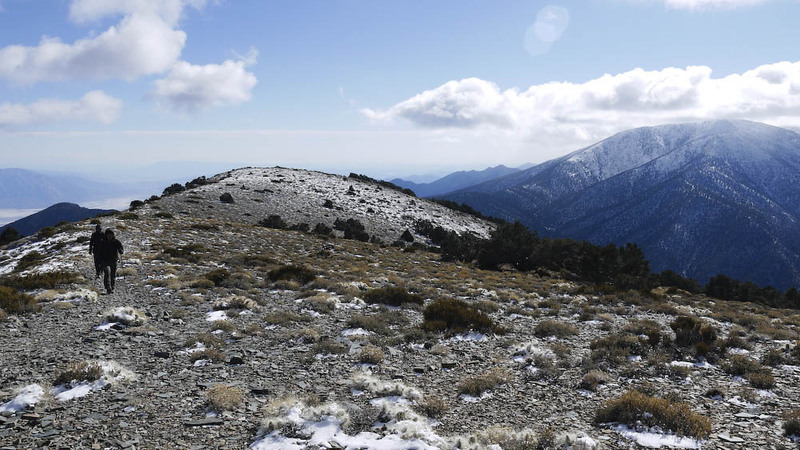 Since more technical snow gear was needed for the nearby Telescope Peak (the highest peak in the park), we opted for the Wild Rose Peak instead. We stopped by the Charcoal kilns at the start of the trail. 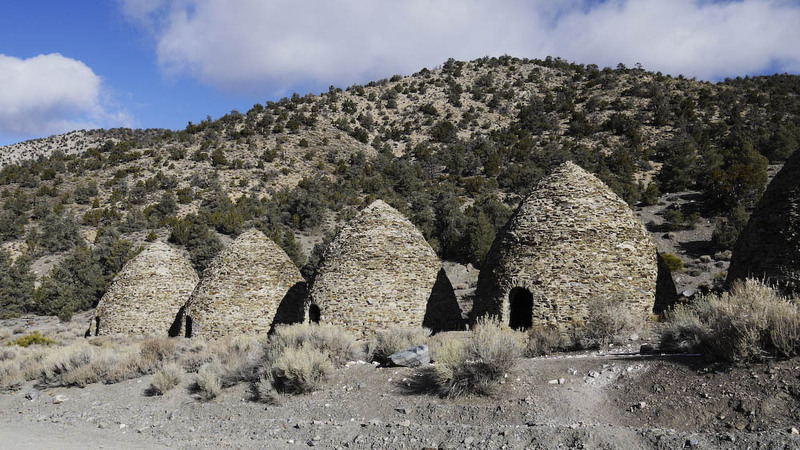 These kilns were built in the early 1900s to supply charcoal for silver mining nearby. They were designed by the Swiss and built by the Chinese. Unfortunately, their use was pretty short lived due to the decrease in demand of charcoal. A walk inside these kilns is definitely recommended, the sign at the trailhead indicate these are some of the most well preserved charcoal kilns in North America. The hike starts out at 6,800 ft above sea level at the trail head. It is a steady climb to the top. Make sure to bring snacks, water and take lots of breaks. Depending on the time of the year you hike this trail, you may also need microspikes. There were small patches of snow on the trail when we did the hike and it was icy on some parts. The temperature of the hike also dipped as we climbed higher towards the peak. By the time we arrived at at the 9,064-foot peak, the weather turned dramatically colder with no protection from the wind. We were amazed how many people tough the cold and enjoyed their lunch at the peak! We were not as brave as we took some photos and quickly descended to warmer weather. 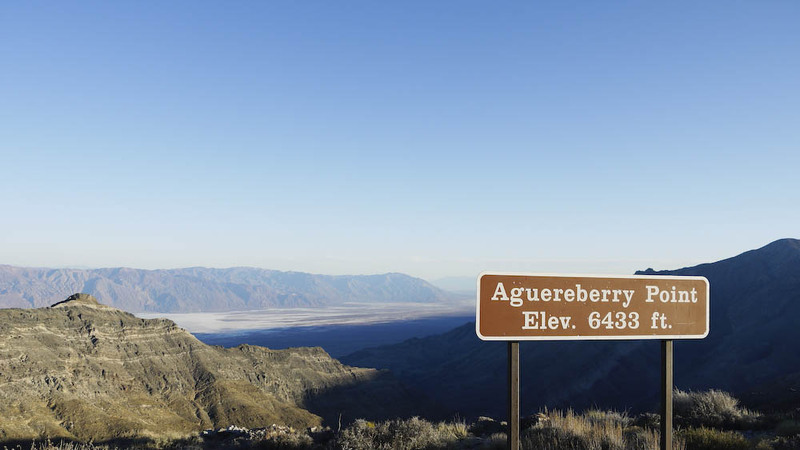 We saw a sign for Eureka mines and Aguereberry Point on our way back from Wild Rose peak and decided to stop by and explore. 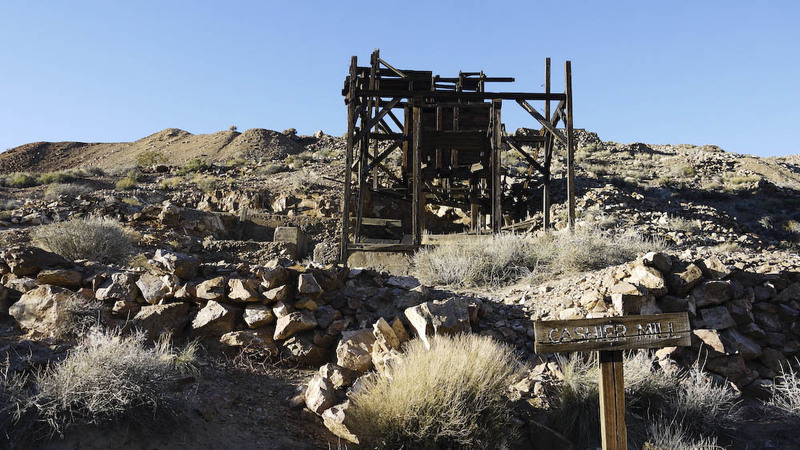 According to the sign nearby, approximately $175,000 worth of gold was mined from here in early 1900s by Pete Aguereberry and most of the mine was built by the man himself! Cashier Mill used to process the ore by using mercury and cyanide to extract gold. Following the road from Eureka mine for about 10 more miles, we reached Aguereberry Point at elevation 6,433 feet. It is a beautiful view of the Death Valley, much less crowded compared to Dante’s View which we visited the day before. 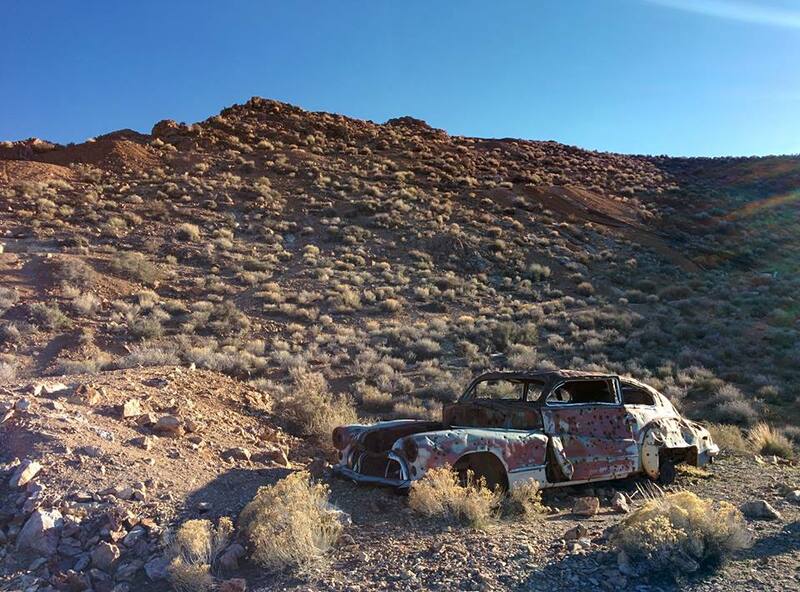 This entry was posted in Hiking & Backpacking, Trail Reports, Travels and tagged death valley, getoutside, Hiking, offroading, outdoors, Travel by hikenoworklater. Bookmark the permalink. It’s definitely a hike worth checking out if you are in the area.